I received a copy of this book in exchange for my honest review. These are opinions are my own and I have not been paid for them. Untamed was an interesting read. Not necessarily a bad kind of interesting, I am giving it 5 stars, but very interesting. It was a very unique take on a dark dystopian, especially when it is getting harder to be original in the dystopian genre. The story is a fast read, and predictable for many aspects (I do not think this is necessarily a bad thing, because when other’s find out, it is pretty spectacular). Untamed has violent, graphic material, so if you do not like books in the YA genre that have death, killing, etc, in it, then this book may not be for you. Seven is an Untamed. She feels, thinks, and sees untainted, unlike the Enhanced who only feel positive emotions and are supposed to be the top of the life chain as superior beings. An unfortunate event results in Seven’s capture and change to an Enhanced. She is however rescued from the Enhanced compound by her village, however many are disgusted because she is no longer untamed. While sleeping in her family’s hut, she dreams of a series of events and a bison in the sky. This indicates she is a Seer, which earns more leers and distrust from the village. The Enhanced come searching for Seven because she is a strong Seer and want her on their side. This sets of the whirlwind of adventures for Seven and some of her untamed village. As a note, I would advise against developing any attachments to any characters, as many die. This book is well developed with a clear plot line. The end left me curious about what will happen in book 2. The characters are enjoyable and easy to connect to. Seven is in an interesting situation where she is not quite enhanced yet no longer fully untamed. Eventually, she has to pick a side…which one will it be? This book can easily be read in a day. It keeps the reader sucked in and is pretty fast paced from the very beginning. I look forward to continuing with Seven’s journey in future books. I am glad to have had the opportunity to read Untamed as it was very enjoyable and well worth the read. RoseBlood came to me via one of my OwlCrate boxes. I immediately started to read it because I had enjoyed Howard’s Splintered so much, I just knew RoseBlood had to be just as good. Well, this was sort of a miss for me. I have never read or even watched The Phantom of the Opera so I know some things may be lost on me. I was intrigued by the story and had been looking forward to reading it when I first received it. I want to end on a positive note with my book review, so I will start with what I didn’t like. The pace was not great. It was so slow starting out that it wasn’t until about halfway through the book, things got exciting. Also, completely pace related, but the climax of the story was kind of anti-climatic for me. The entire culmination of events happened in a few short pages, and then the last 10ish or so pages was how Rune dealt with the aftermath. Also, at the end, all is forgiven…and I can’t seem to wrap my head around it. Finally, the ink is red. This may seem like such a small minute detail, but it often hurt my eyes and I would constantly have to focus harder on the words. I get that it was supposed to enhance the eeriness and nostalgia to the story, but it got to be uncomfortable. So things that I liked. I really enjoyed the budding relationship between Etalon and Rune. I wish I could have had more Etalon than was given. I am glad for how it ended, and would have been distraught had the ending been different. I would love to read a story about Etalon, but more exciting than RoseBlood. I liked Rune, even though I wished her history was a bit more beefed up. I really liked Aunt Catherine and wished she had a larger role during the story…she had a larger role at the end, but would have been nice to have her around more. I mean, I understand why, without giving any spoilers, but I still would have liked it. I feel she could have added some comic relief when needed :). As a reader, it is important to feel the connection between Etalon and Rune, because, as the story infers, it is electric and intense. I felt that way reading their interactions. This is the biggest reason I rated up instead of down. I received a free copy of this book in exchange for an honest review. I would like to think the author for this opportunity. The Seafarer’s Kiss is a retelling of the Little Mermaid, and though this story is largely about mermaids, I feel it is more accurate that this tale is a retelling of Ursula. I say this largely on my knowledge of Disney’s version. Similarities between The Seafarer’s Kiss and The Little Mermaid include: The Little Mermaid and Ersel (The Seafarer’s Kiss) both saving a human from a shipwreck, they both desperately want to leave their underwater kingdom for the land, their love of all things human, and both stories have a Sea Witch (in The Seafarer’s Kiss, the Sea Witch is Loki). Ersel (sounds like Ursula, doesn’t it??) is not a princess. She is anxiously waiting The Grading, where someone from Aegir’s court comes and determines the mermaids who come of age’s fertility and how many children “eggs” they can hatch to keep the population up. Once the number is released, this number follows them forever. If the number is high, then the males began fighting for them as mates. Ersel is desperately afraid and her dream is to leave the icy glacier their kingdom is situated and experience the rest of the world. Prior to The Grading, she meets and protects and young woman named Ragna, which she falls in love with. Eventually, she is found by her former friend, who betrayed her becoming a guard for the evil king, and is informed that she no longer had a choice but to become her mate. After The Grading, she makes a deal with Loki, knowing she should not. This deal went awry and she was turned into a “monster,” her fins turned into legs similar to Ursula’s. In order to prevent any potential spoilers, she is banished and takes up residence in a boat that has been shipwrecked since Ersel was a child. Loki visits her again to strike up a new deal in order to get her fins back, or something else she desires. Ersel then moves forward in the story with this new deal in mind. I will not give away the end, but the second part of this story was much better than the first part. I felt that the story was a bit boring prior to Ersel’s banishment. I felt the relationship with Ragna came off kind of forced (from a writer perspective, not that Ersel was forced into a relationship by Ragna), specifically the intimate interactions the two encountered together. I also had a hard time connecting with any particular character and I felt disappointed with the end of the story. Even though I feel this story is 3.5 overall, I still gave it a 4 star rating because I felt the retelling was a very unique aspect. I felt the imagery of the story was great, and for the most part, I could visualize along with the story’s narrator. I especially liked the Norse aspect of included in the story. By the end of the story, I still thought this would be a great segue into Ursula/Sea Witch territory for a retelling! This story is a pretty quick read and flows easily. It is just over 200 pages and can be easily knocked out in a day, depending on the kind of time a reader has to give it. I do wish it was a bit longer, in order to add more into the story to help connect, but if there is a sequel, I will definitely read it. At the end of the day, I would recommend this to others. Just because I did not connect, does not mean others will not. A lot of people really enjoy the book, I just wish there was more and felt parts a bit boring and hard to get through. I enjoyed the author’s writing style, which is important as well. I received Heartless in my OwlCrate box for the Alice in Wonderland theme. I was super excited to read this story, however, it really missed the mark for me. Heartless is the story of the young woman (Catherine) who turns into the Queen of Hearts in the beloved childhood classic, Alice in Wonderland. Even though the reader knows what the end result of the story is ultimately going to be, the path should have been an interesting one. I will admit, the last few chapters were my favorite and I felt they were the strongest. The events leading up to the end battle, were boring and it felt like too many words describing nothing in particular. Catherine is the daughter of the Marquess of Rockturtle Cove. She has the dream of opening her own bakery and being the best baker in Hearts. Her mother forces her into a courtship with the King of Hearts, though she falls in love with another member of the Court. The story centers around her budding relationship with this person other than the King, who disgusts her. I do not like writing negative reviews, at all, but I wanted to be honest with other readers. I was a bit disappointed, especially with how much I love Cinder. Meyer is a fantastic writer, and this story does show case her amazing writer skills, however, the story line was so boring. The narrator was great! It was the same narrator of the Lunar Chronicles Rebecca Soler. My favorite part of the entire narration occurred towards the end, when Soler really broke out the Queen of Hearts evil voice. It is sad that the most enjoyment I got out of this story, was Catherine’s pain. When I heard about A List of Cages I knew I HAD to read it. I received this book on January 13, 2017 and finished it in one sitting. A List of Cages broke me to my very core. It strips away everything you feel, to the barest of raw emotion and then squeezes your heart until it feels like it is caving in on you. This story is about a boy who the system failed and broke and his journey to strength. I have been struggling with this review for a while, because, what words can I say that will express what is this book? There are a lot of negative reviews on this book, but I work in this EVERY SINGLE DAY. I see these broken children. This book is a must to put to light the failures in the system. My suggestion is to read this book. This pain is a necessary evil. I hope Robin Rowe has other books in the works. I received an advanced copy of The Bear and the Nightingale from Netgalley in exchange for my honest review. The Bear and the Nightingale is based in Russia during the Rise of Christianity, but still full of the ‘old ways.’ This story is based in a small northern Russian village that still holds the old ways of paying tribute for protection to these deities. They leave tiny offerings to the small ‘demons’ (as they are referred to in story) such as bread, honeymead, and in some cases, blood. This story is rich in Russian folklore and it is obvious that the author has done her research. The main character in the story is Vasya, who was the last born of the village leader’s wife, Marina. Marina’s family has unique origins and many people refer to them as a witch. Vasya can see the tiny gods and makes friends with many. Marina dies after giving birth to Vasya, whom she knows is going to do great things and have the gifts of her family. When Vasya is young, her father sets to Moscow to obtain a wife for himself and a husband for his eldest daughter. He marries the Grand Prince’s daughter, Anna, who also has the sight. She is of the same blood line of Vasya. Whenever Anna sees the gods, she refers to them as demons and freaks out. She is often referred to as “mad.” On the way back to the tiny village, a mysterious stranger provides Vasya’s father with a necklace and instructs him to give it to Vasya and to keep by her always. The father provides this trinket with Dunya, the caregiver/nanny, and she decides to hold it until Vasya is much older. At a point in time later, a priest from Moscow is sent to this village once the village priest dies. He is set to “fix” the village and scare them with the love of God. They begin to stop providing offerings to these deities which causes them to slowly grow weaker. Ultimately, this leads to incidents that cause Vasya to go into the forest. She is chased by The Bear, a little one eyed being she has seen approximately 4 times in her life. Just when she thinks the Bear will get her, the mysterious stranger steps in to rescue her. This stranger is actually the frost demon. She resides with him for a period of time to grow stronger, and eventually goes back to her home village to try and save the village from destruction brought on by this priest. This story is very beautifully written. The story flows well together and is interesting throughout the story. The events leading to the climax is that of a slow burn resulting in a big boom at the end. I fell in love with Vasya. I wished there was more to the story about the Frost Demon and his purpose for Vasya, it was only mildly hinted at during her stay in his realm. I have learned that there are 3 books in this story so it is my hope that the Frost Demon appears and this development can go further. My main issue with the book is that there were a lot of words that I didn’t understand. At the end, I saw a dictionary, however, on a Kindle, I didn’t know until the end. I also felt some adjectives used were overused and I felt like I was constantly seeing them. There were also many names used for one character and that was often confusing. There were words that, even at me being almost 32, I had no clue what they meant and had never seen them before. All of this can be harmful to a reader. I felt very confused in many instances. As someone who does not know much about Russian Folklore, I had to tap on the words in the story for a wiki snippet, and in many cases there were none found. I feel like, for those readers who do not know Russian Folklore, this would have been an excellent opportunity to influence a reader that is unfamiliar to want to know more. After reading a Q& A on Goodreads for this book with the author, I am more intrigued. It would have been nice to have that translated, or at least more clear, in this story. As the series continues, I believe some of these ideas will become more apparent. As I said above, this story is beautifully written. I like the character development, not only of Vasya, but of all of the characters. They are each a unique part to this story. The character sketch for each are pretty spot on. You cannot truly have had this story without any of these characters. 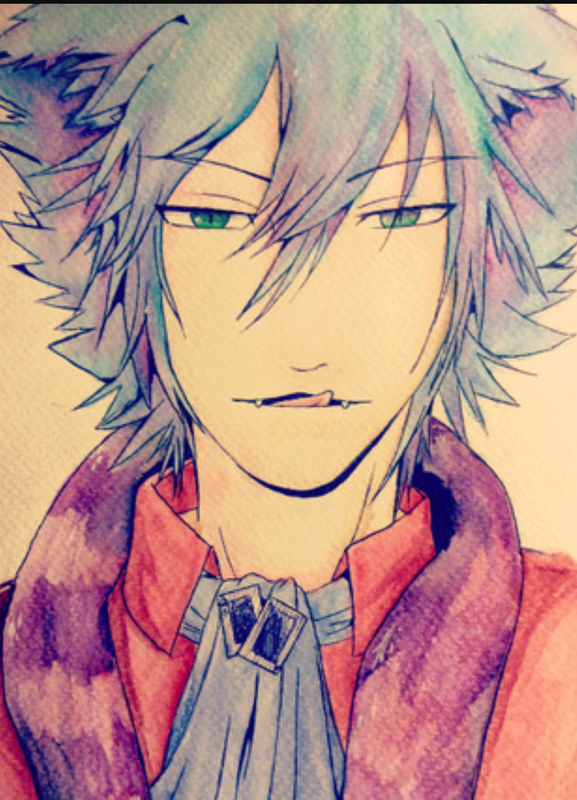 I appreciate Vasya in so many ways it is ridiculous. I always complain about weak main female characters, and Vasya is not that. She is strong, she is independent, she is smart. Everyone turns against her, and she does not falter. At times, she shows her vulnerability, and she shows her strength. She is an ideal lead female character in a story. Vasya is strong willed, and “wild”, and outside the norm of females in that time period. I think it translates well to young females today. I like that Vasya is not a damsel in distress. She does not need or want to be saved, and she makes that very known in the story. She is a female that will love when she finds someone she wants to love. Not someone she is forced to be with. She specifically told the frost demon that she was going to be forced to marry and be her “husband’s mare”, or someone specifically for baby making purposes, and that she did not want that. It doesn’t say she doesn’t want to be married or have kids, but it hints that she will choose that only when she wants to, if at all. That was brilliant. Finally, I do recommend this book. I am intrigued with knowing more about Russian folklore and hopefully I can learn some more so I am not totally confused in the future 🙂 I would recommend this book in physical form over Kindle format, especially for the use of the dictionary. My 4 star Goodreads Rating may have been a 5 star rating had I had some of the readily available to look. I will purchase the physical copy once it is released so that I can have the set as a whole once it is finished. The dictionary aspect will be very helpful and a lot less confusing. 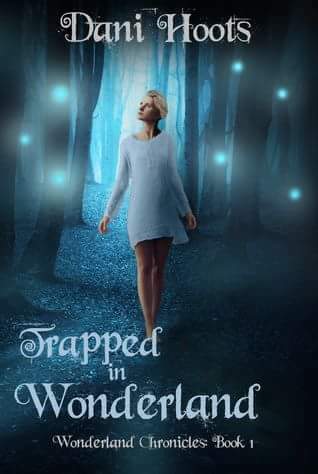 I received a copy of Trapped in Wonderland from Netgalley. This is my own review. I was not paid for this review. This is the first book I have read by Dani Hoots and I can guarantee it will not be the last. Having said that, before I get to the “good stuff,” I want to explain why my actual rating was 4.5 stars. There were times in the story, especially the first few pages, where it felt very rushed. The narration was very fast paced, almost like a kid hopped up on too much sugar. I felt I had to read fast to keep up. As the story went on, the narration pace slowed down. I know this is an ARC, and hopefully there are many revisions to come as there are some things that need editing. This includes the use of wrong words, sentence structure issues, and some redundancy. I did not count off for this in my rating as, again, this is an ARC copy. I wanted to make note of this for editing purposes. Normally I complain about weak female characters but in Trapped in Wonderland this worked. Alice, who is not a very confident girl, gets sucked into Wonderland by kids she knew from school. It is her job to destroy Morpheus and the Cirque de Reves, a circus that brings about darkness from the inhabitants’ of Wonderland fears. Alice considers herself a weakling and is confused on what she can do to help. She is accompanied by the Mad Hatter, The March Hare, the Dormouse, the Cheshire Cat, and eventually the Knave of Hearts. This group, who develop and strengthen friendships as the adventure continues, traversed through the Red and White Kingdom, escapes the Dream Kingdom, enters the Dark Forest and lives to tell the tale. With each adventure, Alice becomes bolder and more confident in her abilities to possibly succeed when she meets with Morpheus for a second time. Will she succeed? You’ll just have to read the book to find out! I found myself becoming completely immersed into Wonderland and this particular story. I liked the various nods to the original story, while keeping true to this retelling. I have read a few Alice in Wonderland retellings, and Trapped in Wonderland is probably my favorite. I look forward to recommending this to friends once it is released and I look forward to future books in this series! Secret Santa has been on my To Reads list since last year. I decided to give this book a go as I have been in a winter/Christmas read mood. I read all 368 pages of this book in one day. I could not put it down. The theme of this book is unique, and though I have not read many Christmas books in the past, I feel it is very original and entertaining. The story takes place during a one week period at North Ridge High School. A memo is passed out indicating that the school would participate in a Secret Santa and the big reveal would be that Friday at the big Christmas dance. The story follows the point of view of multiple students, each who are excited for the opportunities it brings. This story brings about new relationships, realizations, destruction of friendships, and all the high school drama none of us miss. The character I liked least was Noelle. She lives next door to her childhood love. She draws his little brother, who is the same age as Noelle, as who she will be Secret Santa to. Noelle takes it upon herself to leave little gifts for the brother that she loves and gets upset when friends point out that what she is doing isn’t healthy. This is a Christmas romance, new relationships form by the end as each character learns more and more about their secret crushes/Santas. There are a lot of twists by the end and I was happy with every single one of them. This is all-in-all, a very cute read that does not take long. If you love Christmas as much as I do, you will surely enjoy this book as well!